20α will be resident at Foo Tak Building artist village, to open a multiform space specializing on noise, sound art, free improvisation, club music, modern composition, DIY instrument and experimental film. 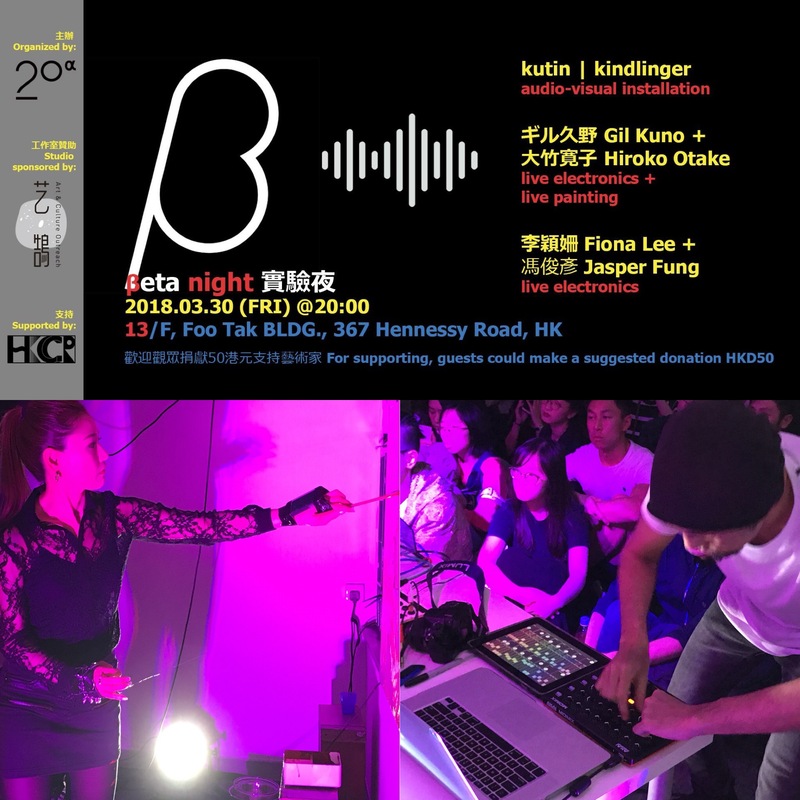 Before the opening on May, we launch a beta night with the live performances and installations of kutin | kindlinger, Gil Kuno, Hiroko Otake, Fiona Lee and Jasper Fung. The main themes of her paintings are butterflies and flowers. They are coupled together into never ending instants, veiled in uncertainty, where every minute of existence is constantly renewed. From breathing intestines, to masturbating installations, oversized antfarms, silent DJ events, and one string guitar orchestras, he constantly subverts our engagement with the perceptions of reality.